The dry season is coming and the typical weather with it. Cold night and sunny day were such a pleasure after our really hot summer. We had an amazing sighting; two brother cheetahs (Acinonyx jubatus) have been spotted hunting together near the area where the female was spotted a month ago. We are hoping for the best for this rare, vulnerable and threatened species. Males of the same litter often stay together as it will increase their success rates in hunts and their chances of survival. Many giraffes (Giraffa camelopardalis) have been spotted on the reserve, mainly males are present in the area, the female population is relatively low at the moment. 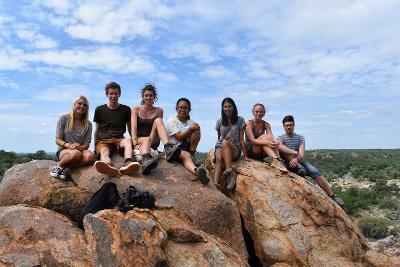 Volunteers have also seen leopards (Panthera pardus), spotted hyenas (Crocuta crocuta), African elephants (Loxodonta Africana) and general game like impala (Aepycers melampus), greater kudu (Tragelaphus strepsiceros), common eland (Tragelaphus oryx), and plains zebra (Equus quagga). The last amazing camera trap sightings have been a rare aardvark (Orycteropus afer) behind the camp. It is the second sighting of an aardvark since the beginning of the year. 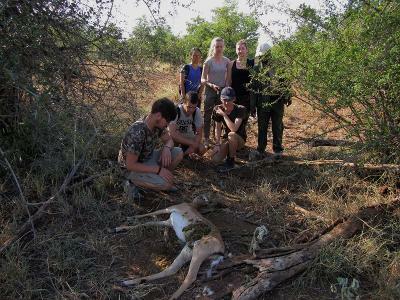 Since January 2016 the volunteers and our staff have found 232 snares in the area. Just for the months of March and April, 145 deadly traps have been removed. Poaching is the killing of wildlife without a hunting license, killing with prohibited weapons and killing outside regulated hunting seasons. All these activities are illegal and are not tolerated by local and international law. Since 2014 Botswana has banned hunting in the country. 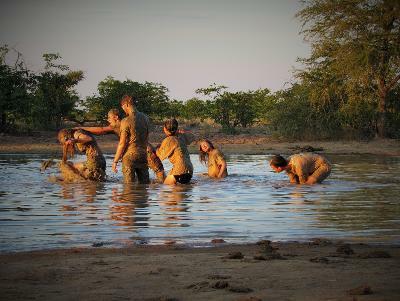 Poaching has contributed to the reduction in numbers of certain wildlife species and this has exacerbated the already existing problem of loss of biodiversity in Botswana (Botswana Environment Statistics, Wildlife Digest 2014). In our area, poaching is mainly done by the use of snares (loops of wire which animals will put their head through and get caught/strangled). This technique is cruel as many different species can be caught and die horrible and cruel deaths (for more info please read March-April 2015 update). Since January 2016, seven impalas and one baby elephant have been found dead due to snaring. 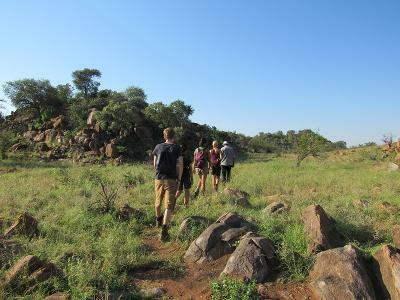 Volunteers and staff go every week on anti-poaching walks to try to scare the poachers from coming into our area and help the wildlife, by finding snares and removing them from the environment. Unfortunately, due to the large areas we cover, the fact that the fence that separates the village from the wildlife area is more than 300km long, and the large road that passes next to Wild at Tuli, means that poachers have easy access to large portions of the wildlife. Thanks to all our volunteers, and with you by our side, we will continue our fight against poaching. Cheetahs are being spotted more and more often in the area where the two males and one female have been spotted, over the last two months. You may be the next lucky volunteer to see the fastest land mammals on earth. Cheetahs can reach a speed of up to 120km/h, but only for few hundred metres before they tire. 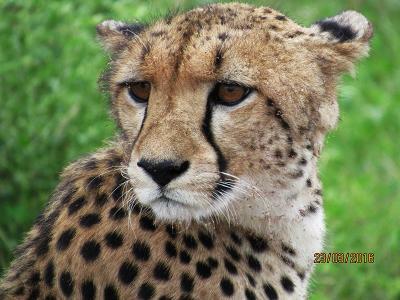 Cheetahs are often confused with the leopard; cheetahs are easily recognised by the presence of two black ‘tear marks’ running down from the corners of the eyes to the corners of the mouth. They also have a slender, lightly built body, have a long tail, a small head and their fur is covered in black spots. They hunt during the day and their main prey is impala, as cheetahs are not built to kill large ungulates. A partnership between brothers is common to reinforce their power against other males and increase the chances of success in a hunt. Cheetahs are a vulnerable species, as listed in the IUCN Red List (International Union for Conservation of Nature and Natural Resource), their population has been decreasing mainly because of habitat loss and human conflict (poaching, farmer conflict etc.). They also have high cub mortality rates due to predation by carnivores, such as lions and hyenas, which are in competition with the cheetah, as well as genetic inbreeding which leads to abnormalities. Lions, leopards and hyenas are a common predator of adult cheetahs.